Attack 1 : call the puppy crew. 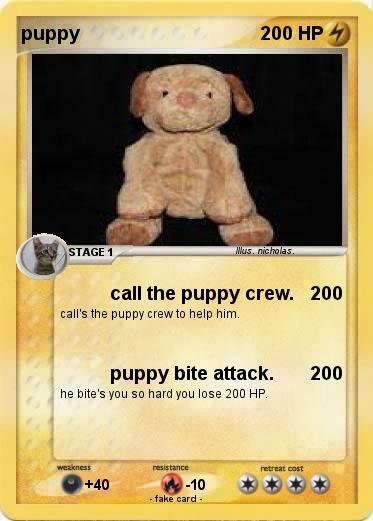 call's the puppy crew to help him. Attack 2 : puppy bite attack. he bite's you so hard you lose 200 HP.